Apple’s new iPhone X is arguably the company’s most controversial handset in years – and perhaps, ever. The device is interesting not only in terms of design but from a business standpoint as it effectively undermines the recently released iPhone 8 and iPhone 8 Plus. It’s a gamble that Apple was willing to bet on. After all, having as much cash in the bank as Apple does affords you a bit of security and the luxury to take risks. It’s too early to know if this bet will pay off but what we do have at the moment are a batch of early reviews to provide a bit of guidance. By “early” reviews, I mean exactly that as Apple gave most reviewers just 24 hours to work with the phone before lifting the NDA. This translates to very little hands-on time (i.e., they're still figuring things out), demoting what would otherwise be full-length reviews down to “first impressions” status. They’ll no doubt be updated with additional feedback in the days leading up to the phone’s launch but for now, it’s all we’ve got so let’s hop right in. 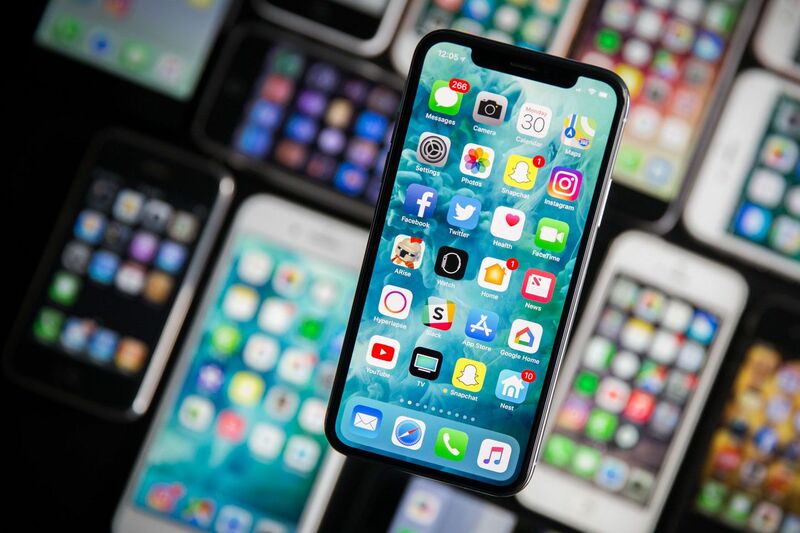 The iPhone X is Apple’s first phone to use an OLED display, after years of Apple LCDs setting the standard for the industry. OLED displays allow for thinner phones, but getting them to be accurate is a challenge: Samsung phones tend to be oversaturated to the point of neon, Google’s Pixel XL 2 has a raft of issues with viewing angles and muted colors, and the new LG V30 has problems with uneven backlighting. Apple’s using a Samsung-manufactured OLED panel with a PenTile pixel layout on the iPhone X, but it’s insistent that it was custom engineered and designed in-house. Whatever the case, the results are excellent: the iPhone X OLED is bright, sharp, vibrant without verging into parody, and generally a constant pleasure to look at. To close apps within this menu, you need to press and hold to make Delete buttons appear. I'd prefer just being able to swipe up to force quit apps. That’s because on the iPhone X, the Touch ID fingerprint identification is replaced with another big change, Face ID, wherein the characteristics of your face, after a few billion operations by Bionic chips and neural engines, become a physiognomic password. Does it work? Pretty much. It seems reliable at fending off intruders. I have thrust my phone into several people’s faces—though considerably fewer than the million punims that Apple says I’d have to try before a false positive—and it has not fallen for any of them. I even offered up my own head shot to the camera: no go. How it has dealt with my own real-life face is another matter. There have been times when, despite a clear view of my face, the iPhone X has ghosted me (Apple tells me that perhaps I wasn’t making what the iPhone X considers eye contact. I wouldn’t want it to turn on every time my face was within camera range, would I?). The iPhone X launches on Friday starting at $999 for 64GB of local storage. Pre-orders went live last week and sold out within minutes although Apple tells us that it will have limited quantities available for walk-in customers. If you’re interested, I’d suggest lining up outside your local Apple retail store as early as possible.